“Assure yourself, there is nothing more acceptable unto the Father than for us to keep up our hearts unto Him as the eternal fountain of all that rich grace which flows out to sinners in the blood of Jesus. This will be exceeding effectual to endear your soul unto God, to cause you to delight in Him, and to make your abode with Him. Many saints have no greater burden in their lives than that their hearts do not come clearly and fully up, constantly to delight and rejoice in God—that there is still an unwillingness of spirit unto close walking with Him. What is at the bottom of this distemper? Is it not their unskillfulness in or neglect of this duty, even of holding communion with the Father in love? So much as we see of the love of God, so much shall we delight in him, and no more. Every other discovery of God, without this, will but make the soul fly from Him. But if the heart be once much taken up with this the eminency of the Father’s love, it cannot choose but be overpowered, conquered, and endeared unto Him. This, if anything, will work upon us to make our abode with Him. I dare boldly say: believers will find it as thriving a course as ever they pitched on in their lives. Sit down a little at the fountain, and you will quickly have a further discovery of the sweetness of the streams. John Owen (1616–1683), in his Works, Vol. 16, p. 22, asks this question: “Whether a church may not, ought not, to take under its conduct inspection, and rule, such as are not yet meet to be received into full communion, such as are the children and servants of those who are complete members of the church?” In other words, can a church take into its company people who have not publicly professed faith? “For, 1) They are to take care of parents and masters as such, and as unto the discharge of their duty in their families; which without an inspection into the condition of their children and servants, they cannot do. 2) Households were constantly reckoned unto the church when the heads of the families were entered into covenant, Luke xix; 9 Acts xvi 15; Rom xvl 10 11; 1 Cor i 16; 2 Tim iv 19. 3) Children do belong unto and have an interest in their parents covenant; not only in the promise of it, which gives them right unto baptism, but in the profession of it in the church covenant, which gives them a right unto all the privileges of the church whereof they are capable, until they voluntarily relinquish their claim unto them. 4) Baptizing the children of church members, giving them thereby an admission into the visible catholic church, puts an obligation on the officers of the church to take care, what in them lieth, that they may be kept and preserved meet members of it, by a due watch over them and instruction of them. Very well said. By the way, though there’s much more to it, broadly speaking a Marmaluke was a boy/man around the 10-14th centuries who would be randomly chosen or bought to be a soldier for Islam. Owen’s point is that the Marmaluke decision on who would be a soldier had nothing to do with families or blood-lines, and the Roman principle was to wait until a person reached a certain age to become a citizen. The same things do not follow for incorporation into the visible church. 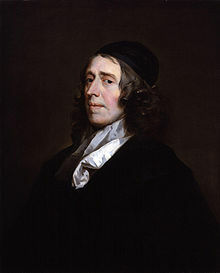 John Owen (1616–1683): Is faith a condition of salvation? I especially love the line above where Owen says that faith is one of the greatest effects and fruits of Christ’s death – saving faith is “absolutely procured.” Jesus actually accomplished salvation for his people when he died on the cross. So we must believe to be saved, but if we have true faith, it is a gift given by God through the death of Christ by the sovereign work of the Holy Spirit. – John Owen (1616-1683), Overcoming Sin & Temptation, p. 47.